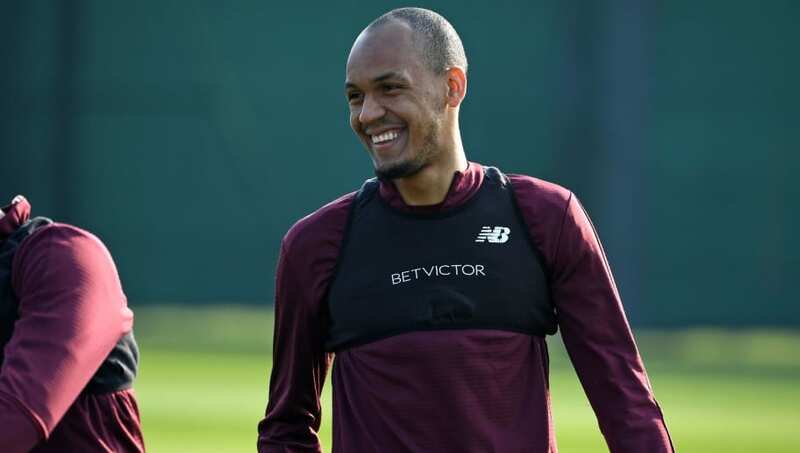 Liverpool midfielder Fabinho has insisted that his team-mates must 'forget the past' ahead of their pivotal Premier League game against Chelsea this weekend. The Reds could find themselves in second place by the time they kick off against the Blues, provided Manchester City beat Crystal Palace earlier in the day's earlier game, although a win for Jurgen Klopp's side would see them return top. Much of the build-up to the game has been dominated by the same fixture in 2014, when ​Chelsea recorded a 2-0 win at Anfield, in a game remembered for Steven Gerrard's slip in the lead up to the opening goal - a slip which all-but ended the Reds' ​Premier League title hopes for that season. Speaking to ​The Telegraph, Fabinho called for the club to disregard events that have gone before and instead focus on getting three points. He said: "Other people from other clubs might speak about it in a way to rile us but I am not focused on it. We are in a similar situation now in that we have a chance to win the league. "Obviously it's unfortunate that Liverpool lost that game but it's not something that's worrying us; it happened in the past. Today is today and we have different players who want to write another story. This is another chapter. We are Liverpool and we are going to give it our all." ​Fabinho has impressed the longer the season has gone on, having initially struggled to settle following his £43.7m arrival from AS Monaco last summer. He has made 31 appearances in the league and ​Champions League - another competition that ​Liverpool are still in contention to win. While the Brazil international is well aware it's been 29 years since the club last won a league title, he's admitted he hopes to cap off a memorable first season with silverware, be it one or two trophies. He added: "Twenty-nine years is a long time for a club like Liverpool [to win the title]. Obviously I am in my first season here but it would be great to win the league, to achieve something historic. "Right now this is the time of the season when everything is being decided. It's been a great season and it would be a shame if we didn't end it with a title after all the effort we have put in. We have five games left in the league and hopefully four in the Champions League. The team is in a good spot."